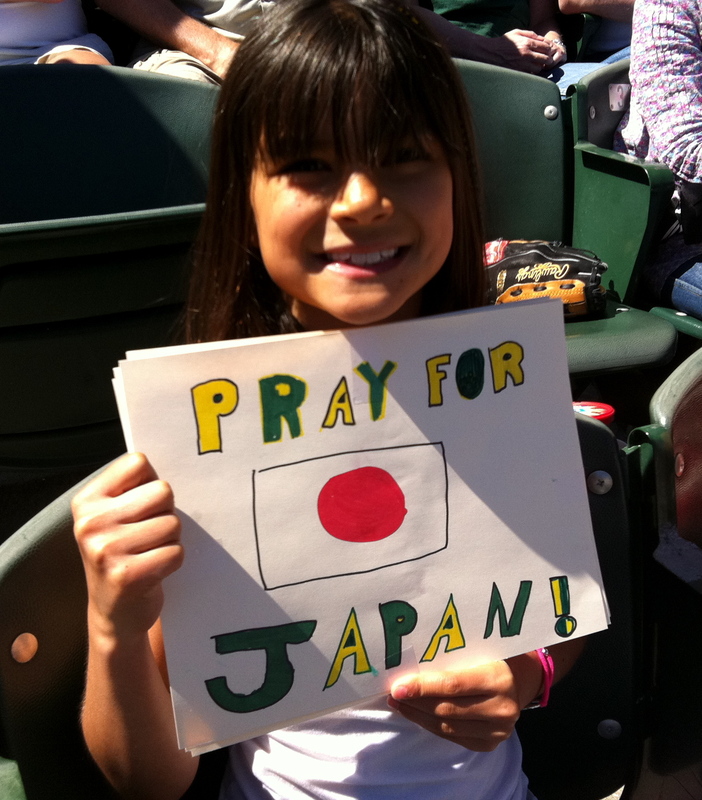 One of the highlights of this young 2011 Oakland A’s baseball season was without a doubt, Sunday’s Japanese Heritage Day. 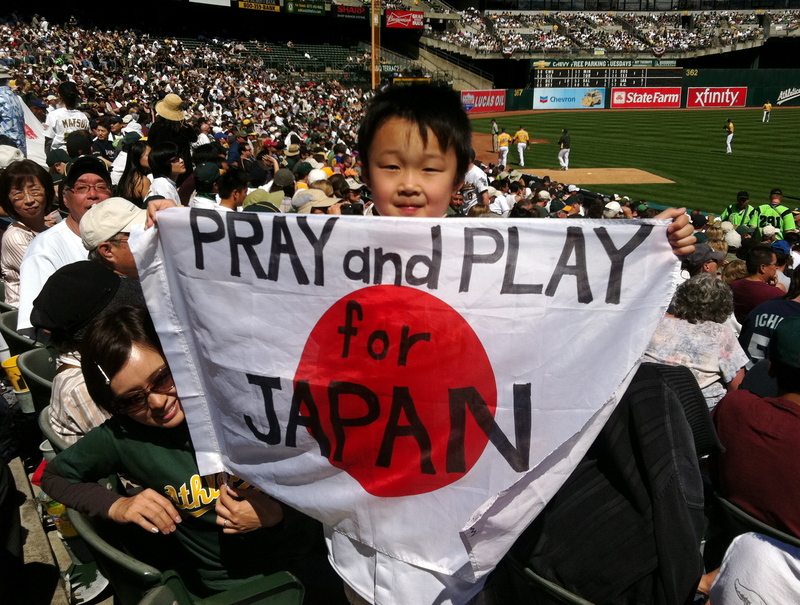 I loved the pre-game festivities, the attendance from the Japanese community (both from the Bay Area and elsewhere), and the relevancy of the day in light of the recent disasters in Japan. Exciting action on the field and the team’s first win didn’t hurt either. 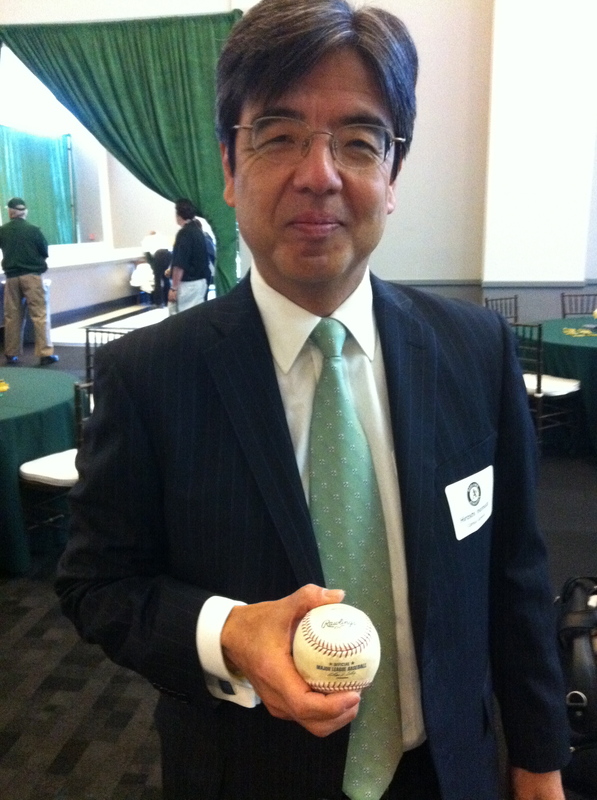 The A’s had been planning on a Japanese heritage day ever since they acquired Hideki Matsui in November 2010. 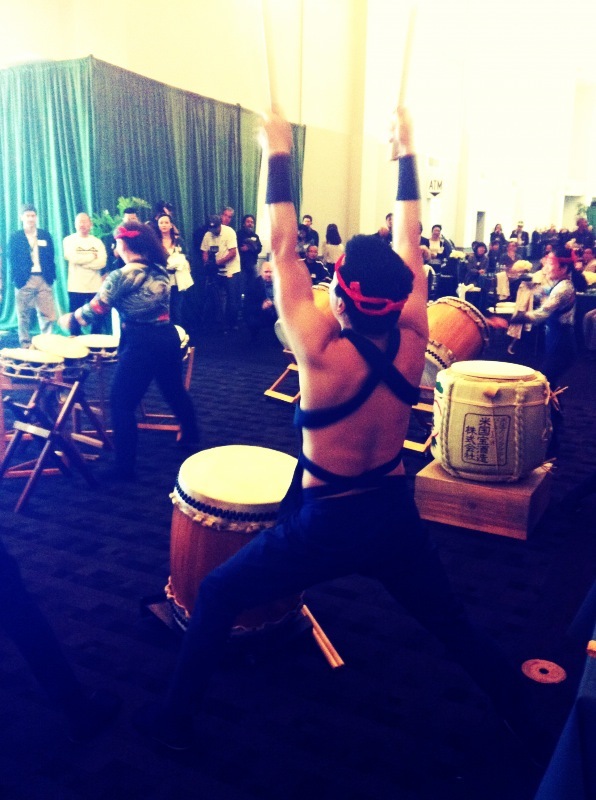 While they hosted a similar event last season, now that Matsui was on the team, they’d really have important reasons to encourage a bridge between the two cultures. As the planning kicked into high gear, I was asked to emcee the pre-game reception for the team’s Japanese sponsors and Matsui’s family. 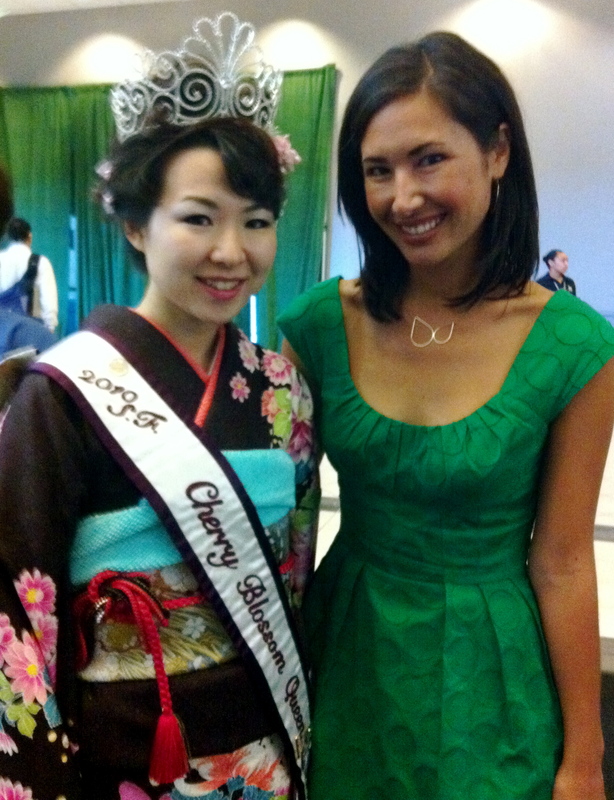 I readily agreed, even though I call myself the worst half-Japanese girl since I don’t even speak a word of the language! 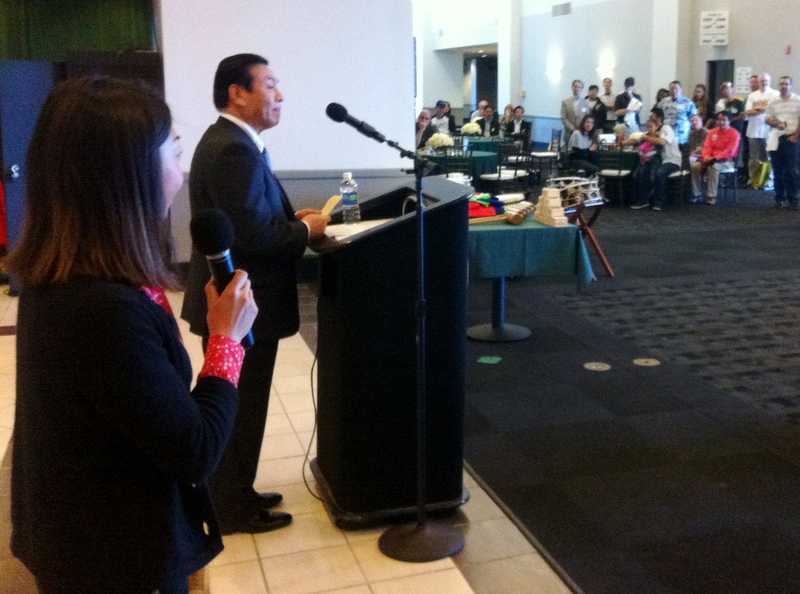 Masao Mat sui addressing the crowd. 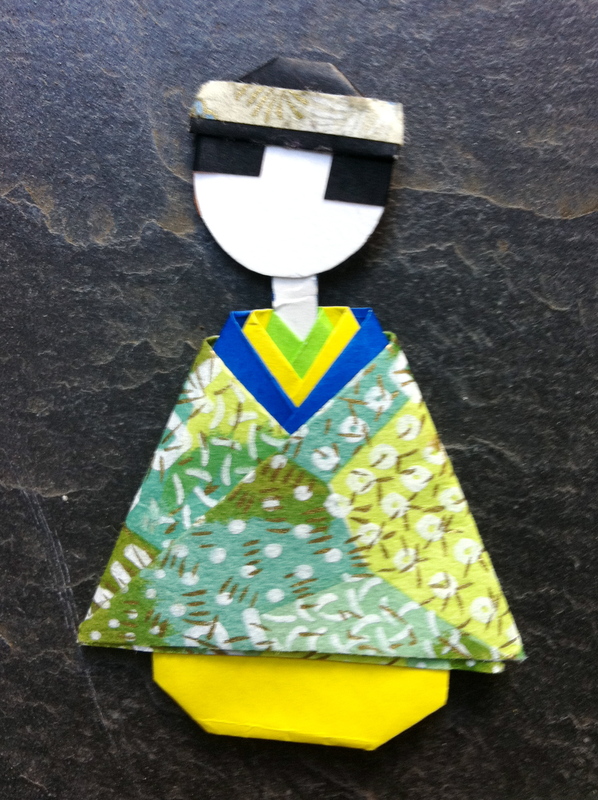 Also representing Hideki’s family were his wife, mother and brother. Lovely family! 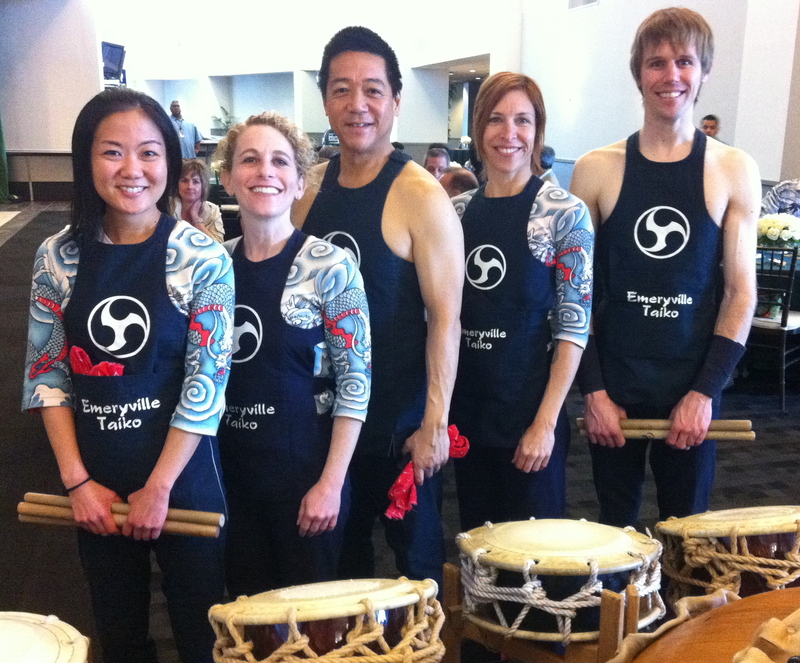 The Emeryville Taiko drummers performing a couple of their songs. 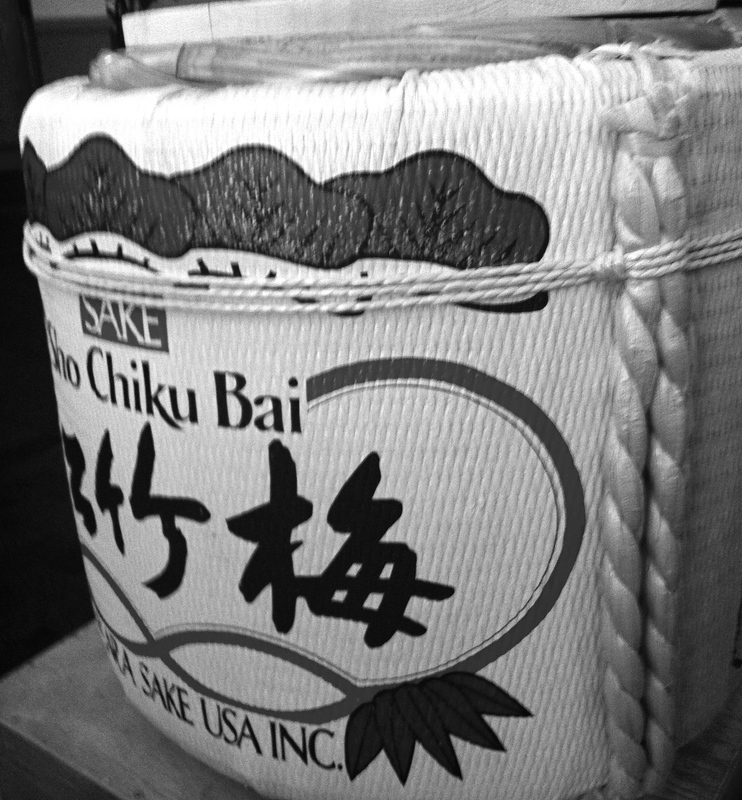 Before and after pictures of a cask of sake from Berkeley’s Takara distillery. 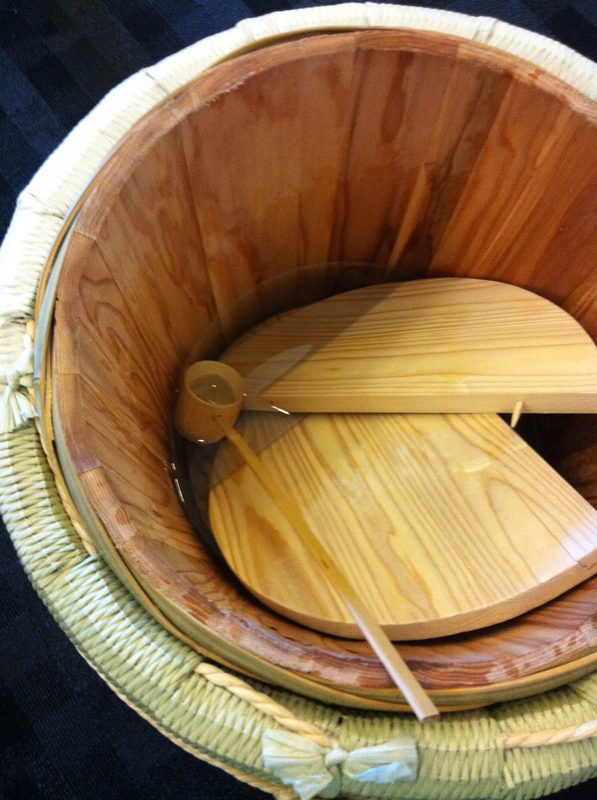 True to Shinto tradition, Matsui San, Inomata San and A’s owner Lew Wolff cracked open the barrel for good luck. 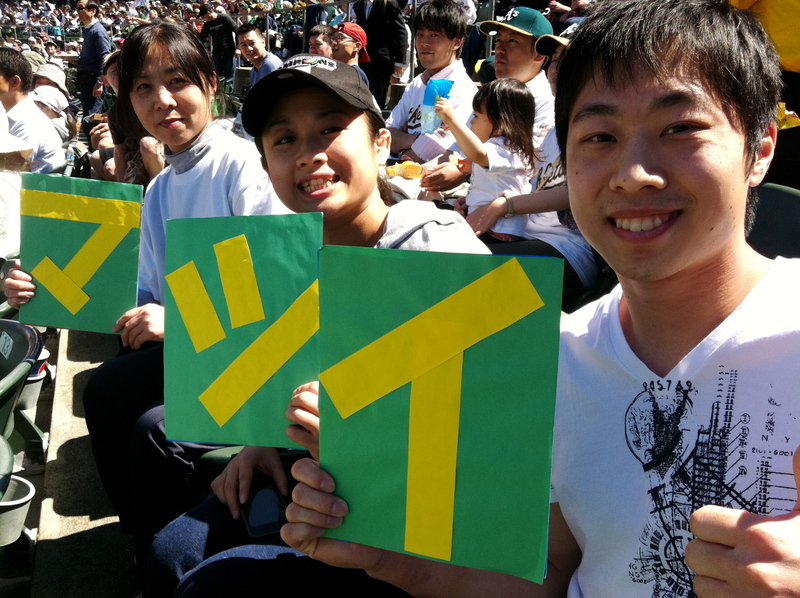 Fundraising for Japan’s disaster relief fund was one of the main focuses of Sunday’s game, and I’m proud to say that A’s fans collected more than 65-thousand dollars. What wonderful generosity. Just as touching were all the displays of love and hope from people in the stands. Also, I knew that the Japanese people loved their baseball heroes, but I didn’t realize to what extent. 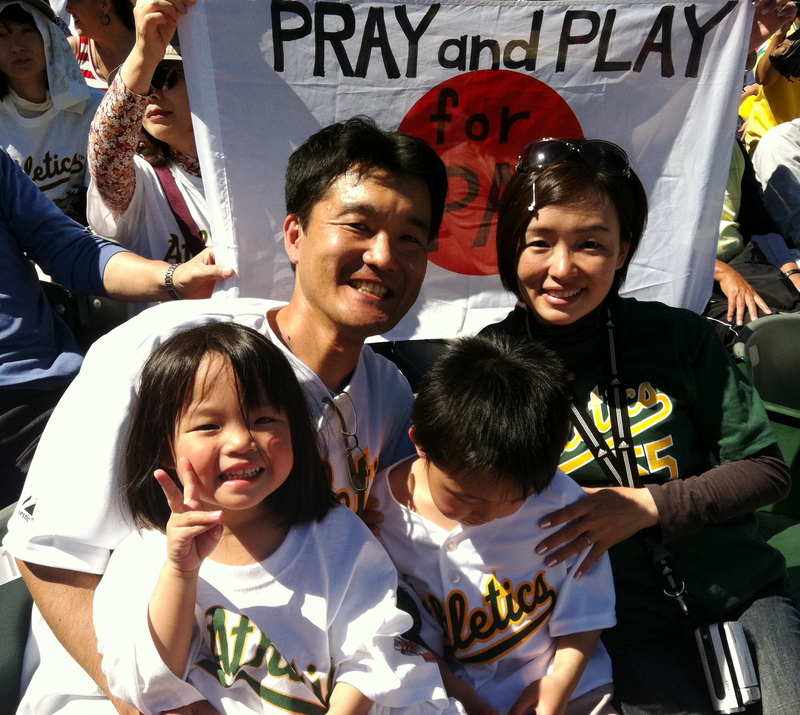 The Kagawa family (photo below) flew in from Hong Kong, where they currently live, to catch the A’s/Mariners series. Now that is dedication! On top of all the festivities indirectly in his honor, Matsui didn’t disappoint and had a truly special game. Not only did he break his season’s short hitting slump, but a shot down the left field line in the bottom of the second inning was his career hit number 2500. It was a beautiful site and the crowd respectfully and eagerly gave him a standing ovation. Who knows how long Matsui will be sporting the green and gold (hopefully for the rest of his American career! 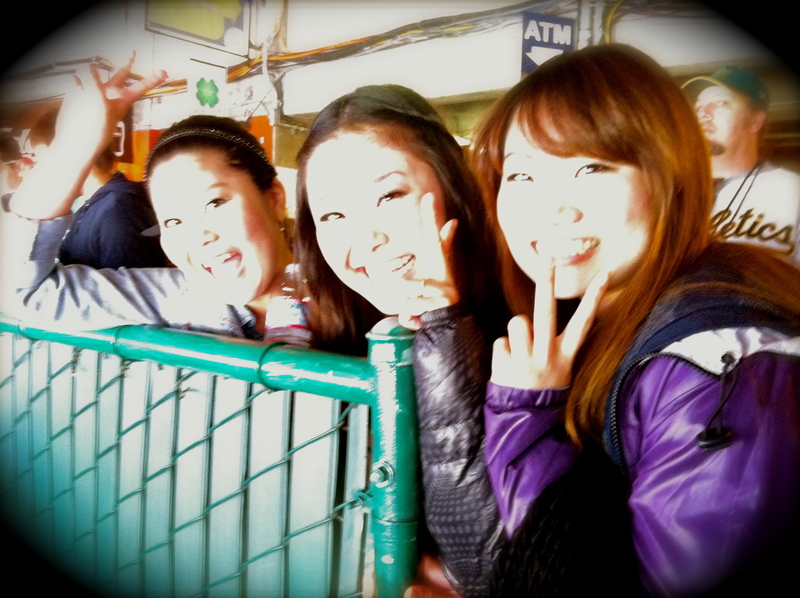 ), but I hope the A’s continue to honor our friendship with Japanese fans. In this case, baseball is one of the best cross-cultural bridges I can thing of.